ONE STATE: The Western Nations call for a two-state solution to the Israeli-Palestinian conflict. But that’s not how the Palestinians see it. 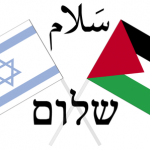 Initially, the Palestinians want a two state solution, but, long-term, a recent survey showed that they want just one state – a Palestinian state with Jerusalem as its capital, link. The revised Hamas Charter (2017) “rejects any alternative to the full and complete liberation of Palestine, from the river to the sea”, link, link. Put simply; the Arab leadership wants to eliminate the Jewish state. 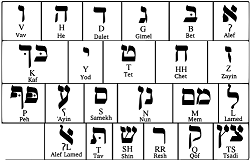 Official Language: Modern Hebrew (based on biblical Hebrew). Arabic has “special status”, and English is also widely used. Major milestones followed, with the liberation of Jerusalem from Turkish rule in 1917 and the declaration of the State of Israel on May 14, 1948. Specifically, this declared ‘the establishment of the Jewish State in Palestine, to be called ISRAEL’, link. This declaration led immediately to Israel’s War of Independence, when five Arab armies invaded Israel. After the war, in 1949, Arab countries refused to sign a permanent peace treaty with Israel and so UN Security Council Resolution 62 called for armistice agreements that would lead to permanent peace. 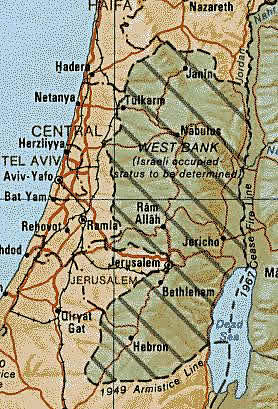 This resulted in Israel’s borders being temporarily re-established along the armistice or “Green Line” and the creation of the so-called ‘West Bank’ (Fig.1). Until July 2018, tourist information claimed that Hebrew and Arabic were the official languages of the State of Israel, with English as a semi-official language, link. The CIA claimed that Hebrew is the official language, Arabic is the official language for the Arab minority and English is the most commonly used foreign language, link. The 2018 Nation-State Law: There were political moves to remove Arabic from the list of official languages on the basis that, in 1948, Israel’s Declaration of Independence declared the new state to be ‘open to Jews from all countries’. Consequently, in July 2018 the Knesset passed a controversial law characterising the country as principally a Jewish state. This law became one of Israel’s “Basic Laws” which, like a constitution, guide Israel’s legal system. 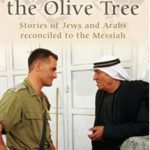 The Nation-State Law says Jews have a unique right to national self-determination there and puts Hebrew above Arabic as the official language, link, link. So Hebrew is now the official state language, whilst Arabic has “special status” in the Jewish state, link. Pressure to redefine Israel’s official language came from the need to underscore the 1948 declaration of Israel as a “Jewish State”. But Israel’s stance was disputed by the international community (as in the UN and the EU) which argued that Jerusalem must be the capital of both Israel and Palestine. According to the US Supreme Court, ‘Jerusalem is not a part of Israel’, link. So, until recently, the US and all other countries kept their embassies in Tel Aviv. US Embassy Move: On December 6, 2017, President Trump made a courageous decision when he recognized Jerusalem as Israel’s capital and announced that the US embassy would be moved there. The embassy moved to Jerusalem on May 14, 2018. 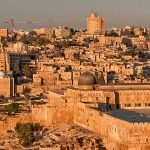 The 2018 Basic Law: In 18 July, 2018 Israel passed the Nation-State Law (Basic Law) which formally declared Jerusalem to be the capital of Israel, . 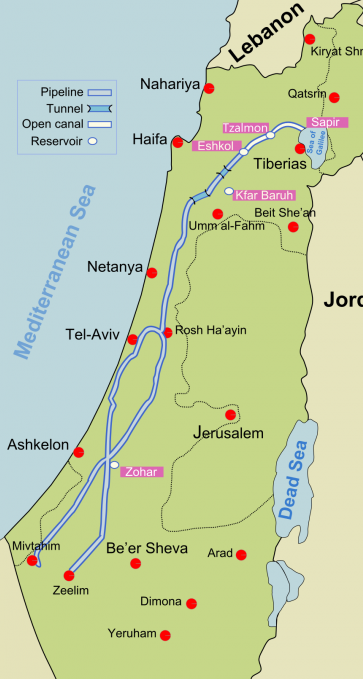 Demographics of the West Bank: Areas A,B, and C: see map. Under the 1995 Oslo Accords II, the West Bank was divided into three areas (A, B, and C) and within these areas the Palestinian and Israeli authorities have different levels of control. Area A is under full control of the Palestinian Authority, Area B is under Palestinian civil control and shared Palestinian and Israeli security control, and Area C (62% of the West Bank) is under full Israeli control, link. Areas A and B are distributed throughout contiguous Area C. No Israelis live in Area A, most Palestinians live in Areas A and B, and some 350,000 Jewish settlers live in the relatively lightly populated Area C, link. 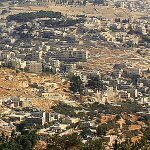 Israel is often accused of holding a discriminatory housing policy in Area C, but is nevertheless justified in building Jewish settlements in this area under international law, link. 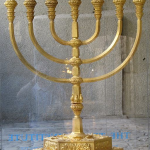 Jewish Intelligence: It is claimed there is a biological basis of Jewishness. 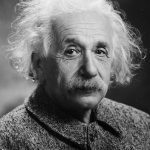 This may partly explain why Jews hold such a relatively high number of Nobel Prizes and demonstrate a distinctly higher IQ than their European counterparts, link, link. 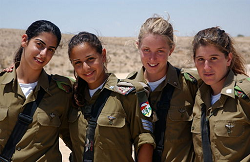 Ashkenazi Jews in particular have high intelligence. Research shows that on many measures Ashkenazi Jews are top of the IQ chart. Their average IQ of 115 is approximately 40% higher than the global average IQ of 79, link. Fig.4: Known oil and gas fields. Figure 4 shows known oil and gas fields in the Levant Basin – oil and gas fields in grey. [Image: US Energy Information Administration, Wikimedia Commons]. It is often claimed that Israel has few natural resources. But in 2010 Israel discovered nearly 1000 billion cubic meters of natural gas – much off it offshore in the Eastern Mediterranean Levant Basin. This is more than enough to feed Israel’s domestic demand, with surplus for export. In 2014 Israel’s proved reserves of natural gas (estimates with a high degree of confidence) were 10 trillion cubic feet (Tcf), and Israel’s proved reserves of oil were 11.5 million barrels, link. Israel also has one of the world’s largest deposits of shale oil with a potential of some 250 billion barrels in the Shfela basin. Recent drilling has found thick oil strata in the Southern Golan Heights north-east of the Sea of Galilee, link. 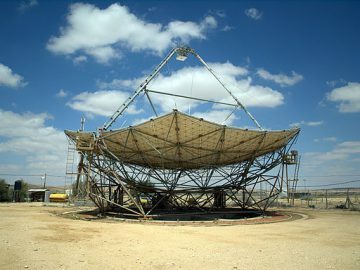 Figure 5 shows Israel’s National Water Carrier (NWC) [Image: NielsF [CC BY-SA 3.0], Wikimedia Commons]. Israel’s total annual renewable natural sources of fresh water are well below the UN definition of water poverty. Some 80% of Israel’s natural water is in the north and the National Water Carrier system (Israel’s traditional water ‘artery’) conveys water from Lake Galilee southwards. The NWC was started in 1959 and now comprises a system of giant pipes, open canals, tunnels, reservoirs and large scale pumping stations. As a result, the US could even withdraw her diplomatic cover or shield for Israel at the United Nations, link. At present this cover protects Israel’s desire to maintain the status quo and refrain from reaching an accommodation with the Palestinians. If this cover was removed, the US could refrain from vetoing any UN resolution calling for the creation of a Palestinian state. This happened in 2016/17. As for the UN, its numerous resolutions against Israel speak for themselves. As of 2013, the UN Security Council had adopted 77 resolutions critical of Israel and only 1 against the Palestinians, link. For her part, Israel continues to ignore such resolutions. It’s not all bad news for Israel. Canada has a long history of friendship as well as economic and diplomatic relations with Israel, and in 2015 rejected BDS, an international boycott of Israeli goods, link. And new British Government directives aim to prevent any UK public body from imposing a boycott since such activity is ‘potentially damaging to the UK’s relationship with Israel’, link. Also, despite long-standing US policy concerning Israel and the ‘occupied territories’, the US has introduced legislation which discourages corporate or state-affiliated entities from participating in the BDS movement, link. Unfortunately, although major Western governments oppose BDS, the international community (including the EU) generally supports some form of boycott, link. Israel is a tiny country just 290 miles (470 km) long and 85 miles (135 km) across (at it’s widest point), see Fig.6. She is a single Jewish State surrounded by 22 hostile Arab/Islamic dictatorships totaling 640 times her size, link. Since her birth, Israel has been repeatedly attacked by her neighbours, most notably in 1948–49, 1956, 1967, 1973, and 1982, link, and today they aim to replace her with an Islamic caliphate. Israel’s hi-tech industries are truly astounding. The country has been described as an “economic miracle” since it has consistently had more companies listed on NASDAQ than all of Europe combined. Israel consistently, scores as one of the top countries for patents per capita, see Venture Capital. 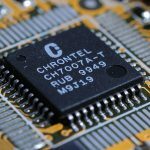 Israel’s industry now boasts many thousands of hi-tech companies in a wide range of fields such as computer science, electronics, genetics, optics, biotechnology, medical electronics, solar energy and electric cars. The majority of these companies are from startups, and Israel ranks second only to the US Silicon Valley for startups. These include aerospace engineering, agricultural engineering, computer engineering, bio-medical engineering, hydraulic engineering and marine engineering. Cyber-security is big business in Israel, link. For instance, if you use ZoneAlarm to protect your computer you are using a product from Israel’s biggest cyber-tech firm, Check Point Software. Overall, about 200 Israeli companies now specialize in cyber-security, accounting for US$3 billion worth of anti-hacking exports in 2013. And about 25% of the world’s venture capital-funded cyber-security startups are Israeli. Israel’s goal is to produce 10% of the country’s energy from renewable sources by 2020. 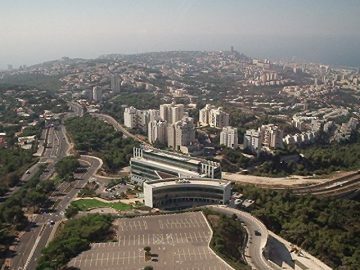 When it comes to solar research, The Weizmann Institute is equipped with one of the most advanced solar research facilities in the world. 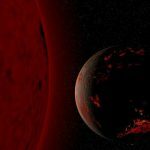 This enables Institute experts to pursue the development of new cost-efficient ways to harness, store, and transport the sun’s energy. Since Israel’s establishment in 1948 the country has almost tripled the territory used for farming; the result is that production has multiplied 16 times, link. 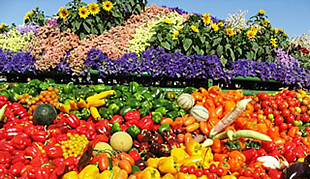 Although still relatively small compared to other industries, Israel’s net domestic product in agriculture has increased more than four-fold since 1986, link. And Israel still manages to produce 95% of its own food requirements, link. Today, Israel is a major exporter of dates, avocados, olive oil, pomegranates and almonds, and is a world-leader in agricultural technologies, link. When it comes to technology, Israeli drip and micro-irrigation solutions have rapidly spread worldwide. The newest models are self-cleaning and maintain uniform flow rate regardless of water quality and pressure. 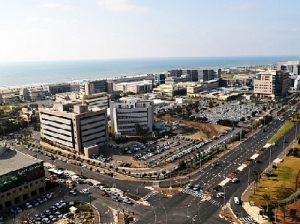 About 1,000 Israeli companies are in healthcare or life-science products, including 700 in medical devices. Israel leads the world in medical device patents per capita, link, link. 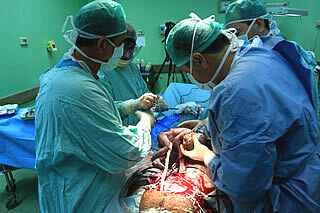 Medical Research: Israel pursues excellent medical research work in areas such as breast cancer, leukemia, heart monitors and Alzheimer’s and Parkinson’s disease. Specific examples; a system to correct severe curvature of the spine, stem-cell therapy products, MRI-guided focused ultrasound to destroy tumors without surgery, and a tiny implantable device inserted into the retina that turns into an artificial retina. 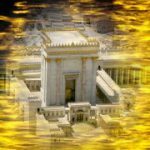 God Protects Israel – Hezbollah Beware! 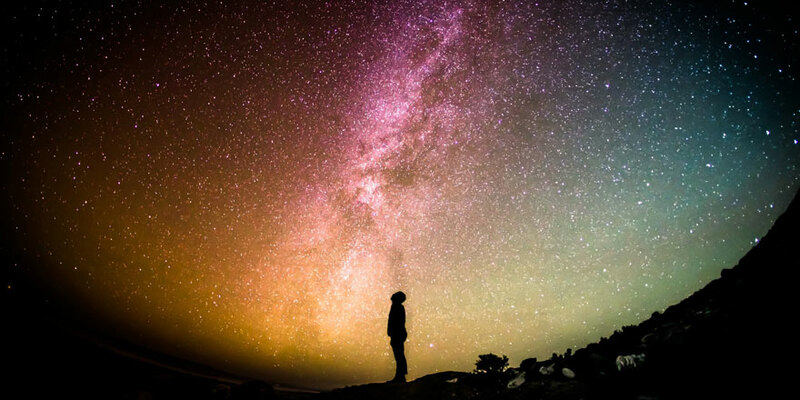 How do we know that God protects the nation of Israel? Despite some 2,500 years of scattering and persecution, the people of Israel (generically, the Jews) have survived. Furious attempts to annihilate this people have all failed. From the Babylonians to Queen Isabella to Hitler, their plans to totally exterminate the Jews failed. 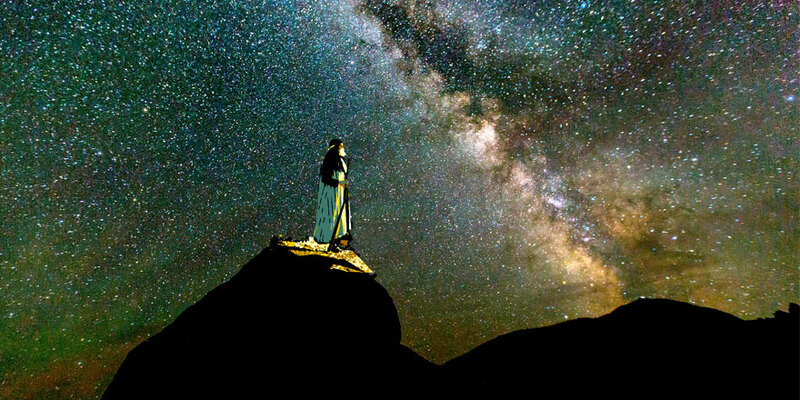 When King Louis XIV of France asked Blaise Pascal, the great Christian philosopher to give him proof of God, Pascal answered, ‘Why the Jews, your Majesty, the Jews!‘ The fact that the Jews have survived whilst many other nations have disappeared points to their protection over the ages. 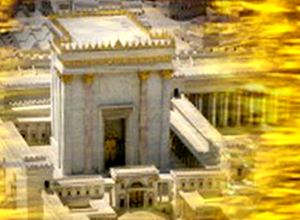 In fact, in recent years God has actually restored the nation of Israel and blessed her. 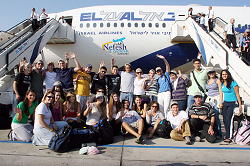 In just 100 years the Jewish population of Israel has risen an amazing 7,700 percent through mass Jewish immigration, or aliyah. 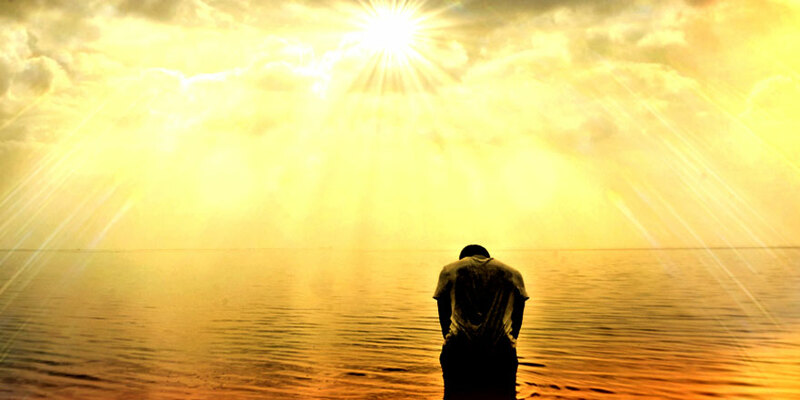 Of course, when the nation of Israel walked away from their God and Protector these promises seemed not to apply and Israel was scattered throughout the nations for some 2,500 years. The scenario is similar today. 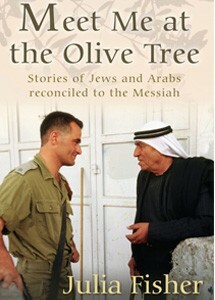 Most of the 8 million inhabitants of Israel do not recognize Yeshua (Jesus) as their promised Messiah. 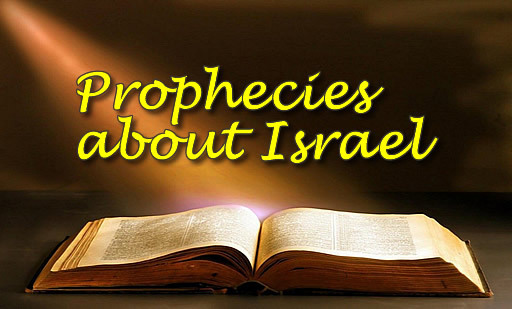 So, according to prophecy, in the near future is seems Israel will go through a time of great trouble (Mat 24.15-28). 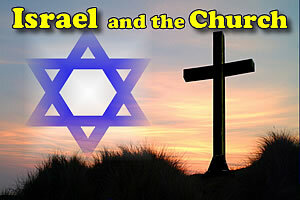 It will be a time of the refining of Israel until they recognize their true Messiah. 1967: In the Six-Day War of June 5–10, 1967, the armies of Egypt, Jordan, Syria, Lebanon (and later Iraq) again attacked Israel. Their goal was “to wipe Israel off the map”. The Arab armies had huge superiority in armour, aircraft and troops. For instance, Egypt had around 100,000 troops and 900–950 tanks in the Sinai, and the Israeli Air Force could pit only two hundred aircraft against six hundred Arab planes (which included many Soviet MiG fighters). 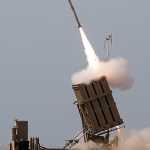 In the light of this, Israel resolved to make a preemptive strike aimed at destroying the Arab air forces on the ground, link. After the war Israel held the Sinai, the Golan Heights, Gaza, the West Bank and, for the first time in 2,500 years, all of Jerusalem. As in the 1948-49 war, this rapid military defeat of the Arab armies is attributed in part to the lack of coordination among Arab states, link. Others e.g. 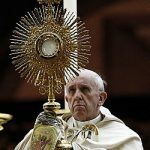 Bible scholars, see the defeat as God preparing the way for Christ’s millennial rule from Jerusalem. 1973: On October 6, 1973, hoping to win back territory lost to Israel in 1967, Egyptian and Syrian forces launched a coordinated attack against Israel on Yom Kippur, the holiest day in the Jewish calendar. 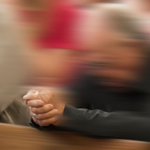 For Jews, Yom Kippur or ‘Day of Atonement’ is a solemn time of rest, prayer and fasting – a time of sincere reflection on the state of one’s relationship or ‘at-one-ment’ with God, link. So this attack came at a time when Israel was “resting” and looking to God. 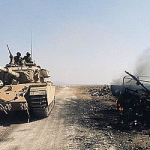 With the element of surprise to their advantage, Egyptian forces successfully crossed the Suez Canal, suffering only a fraction of the anticipated casualties, while Syrian forces were able to launch their offensive against Israeli positions and break through to the Golan Heights. 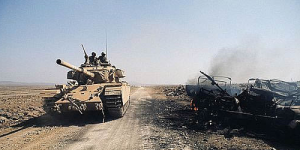 But despite the surprise and consequent heavy losses, Israel, with urgent US help, once again defeated the attack, link. 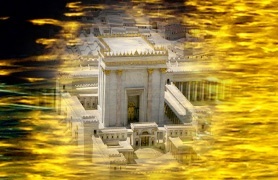 It seems the God of Israel once more helped Israel, this time when they were unprepared. 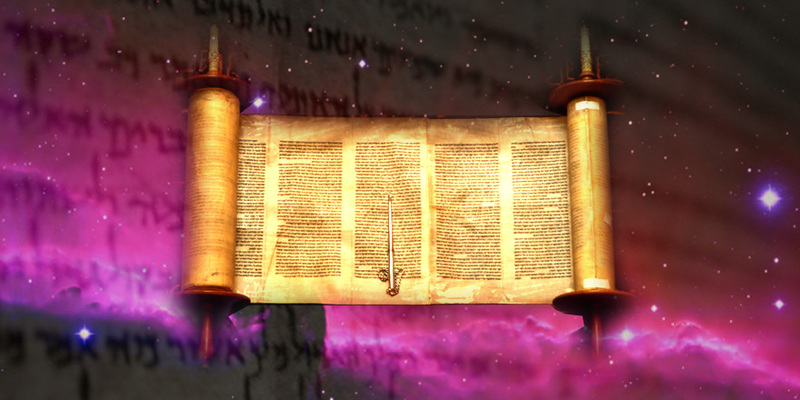 Did God Protect Israel against ISIS? Early December 2016 a strange storm cloud (dust and rain) put a barrier between Israel and ISIS. 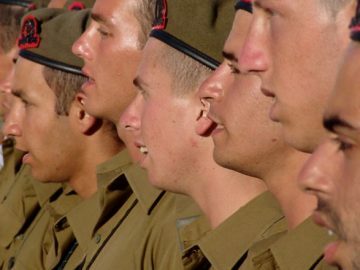 Reports say the storm stopped on the border of Syria and was ‘unable’ to enter Israel’s Golan Heights area. 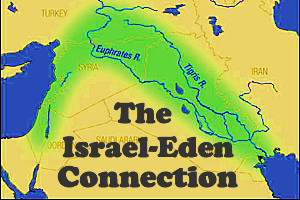 Many believe God intervened on behalf of Israel to prevent ISIS from entering Israel, link. So if we examine the circumstances and events that led to the establishment and continued survival of the Jewish state, the facts point to a miraculous existence. Israel must have purpose in the world! It is sometimes said that “Israel is famously low on natural resources” and that the country’s economic stability is largely due to its advanced high-tech sector, link. But in recent years things have changed with the discovery of very significant oil and gas reserves. The off-shore Levant gas field could eventually provide Israel with 50 to 200 years of gas at current levels of use, encouraging the construction of a gas pipeline to Europe. When it comes to oil, Israel has one of the world’s largest deposits of shale oil, with a potential of some 250 billion barrels in the Shfela basin. Israel’s mining sector extracts minerals from the Dead Sea (for export via Israel’s southern port of Eilat) and extracts millions of tons of aggregate from Judea & Samaria for the building industry. In 2010 Israel discovered at least 16 trillion cubic feet (Tcf) of natural gas in the Eastern Mediterranean, link, link. 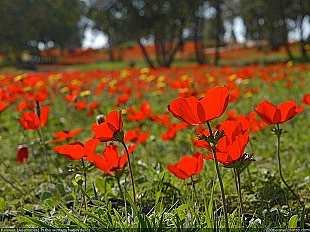 The reserves are in the Levant Basin some 130 km west of Haifa. Two offshore gas fields, the Leviathan and the Tamar (the large grey areas in Fig.1), hold the vast majority of Israel’s gas reserves, with more than enough to feed domestic demand, bring down Israel’s electricity costs and have enough gas for export. 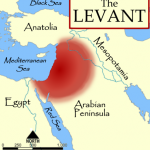 The most significant find is the Leviathan field, and in 2014 the Israeli government approved plans to supply the Palestinian Authority with natural gas from the Leviathan field once production commences, link. 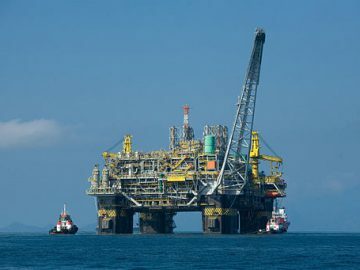 As of 2014, Israel’s proved reserves of natural gas were 10.1 trillion cubic feet (Tcf), link, with the Leviathan having an estimated 22 Tcf (622 billion cubic meters) of reserves, link. December 2018: Cyprus, Greece, Israel and Italy signed a memorandum of understanding to build the world’s longest underwater natural gas pipeline to supply Europe. It will run from Israel’s off-shore gas fields via Cyprus and Greece to Italy, link. There will be high infrastructure costs (around US $6.2 billion) and construction would not begin for several years. It could go online in 2025, link. The project has full support of the EU and aims to produce gas at a price to rival that from Russia. Clearly, this is not good news for Russia, and may be a factor in the coming Russian-Iranian invasion of Israel. But ever since the Leviathan discovery, Israel has faced serious regulatory and political challenges, link. The Levant Basin is shared by Gaza, Lebanon, Cyprus and the Turkey-dominated Turkish Republic of Northern Cyprus, leading to maritime disputes. 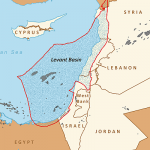 Turkey and Lebanon have challenged Israel’s right to the reserves, and the Israel/Lebanon maritime border in the Levant Basin is disputed (see map) with Lebanon claiming Israel is violating international law, link. 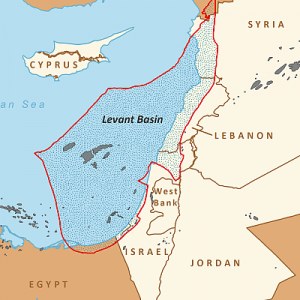 Even so, it is claimed about 45% of the Levant Basin falls within Israel’s land and economic waters, link. Fig.3: Israel’s shale oil deposits. 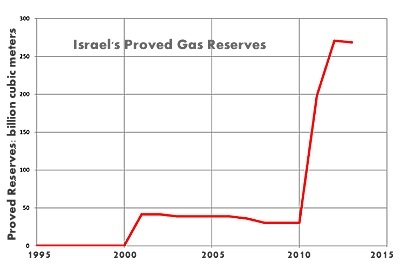 As of 2014, Israel’s estimated proved reserves of oil were 11.5 million barrels, link. Others claim an estimated 620-billion cubic meter reservoir, link. In fact, it turned out that Israel has one of the world’s largest deposits of shale oil, with a potential of some 250 billion barrels in the Shfela basin, link, link. This represents the world’s third-largest quantity of oil shale behind the US and China. 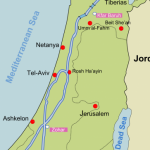 The basin spans Israel and Jordan and shale deposits have been found to the south of Jerusalem, and outside of the West Bank region, see map. Although expensive to extract, Israel is now pioneering shale oil technology. “Tried-and-tested oilfield technologies will be the key to delivering a new era of onshore oil in Israel” [Harold Vinegar, former Shell Oil Company Chief Scientist]. But, as for many shale oil projects, there is opposition on environmental grounds, link. Oil in the Golan Heights: Recent drilling has found thick oil strata in the Southern Golan Heights north-east of the Sea of Galilee, link. Afek, an Israeli subsidiary of Genie Energy (a US oil company) say the oil strata thickness is ten times the normal world strata thickness, implying a potential production of billions of barrels. This could easily provide all Israel’s oil needs, link, link. Compared to gas finds, which are well off shore, the oil find is relatively close. But this area is disputed: Israel claims the oil and ignores claims that it legally belongs to Syria, link. Certainly, this area is just outside the 1922 League of Nations sub-division of Palestine, which identified a Jewish homeland and which still legally stands under Article 80 of the UN Charter, see map. 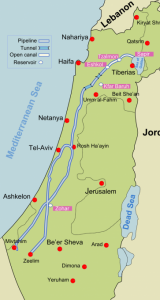 Israel only gained the Golan Heights in response to unprovoked Arab attack in June 1967. The combined forces of Egypt, Jordan, Syria, Lebanon (and later Iraq) aimed to ‘wipe Israel off the map’, but failed. 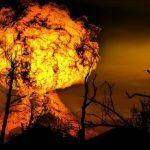 Will this dispute over huge oil deposits provoke the prophesied Gog-Magog invasion of Israel from the north? 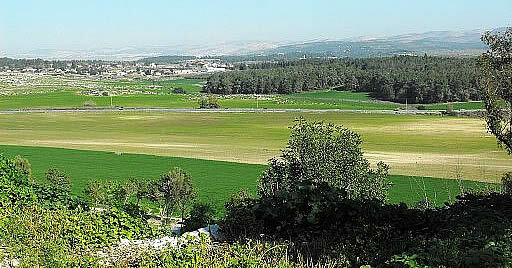 The Golan Heights or mountains could well be the battle field (Ezek 39.2). Following thousands of years of evaporation, the Dead Sea now contains some 45,000 million tons of salts rich in minerals, link. This makes the Dead Sea the largest concentration of minerals in Israel. From a health point of view, minerals extracted from the water (such as calcium, magnesium and potassium) are said to improve the metabolism, stimulate circulation and aid in the natural repair of body cells. 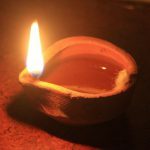 Some minerals are known to have unique qualities, giving a feeling of relaxation, nourishing the skin, activating the blood systems, healing rheumatic diseases and metabolic disorders. Even Dead Sea mud is believed to have benefits for deep cleansing and stimulation of the skin. Not surprisingly, the Dead Sea area has become a major center for health research and treatment, link, and thousands of people from all over the world come every year to the Dead Sea for healing, recovery, spa, and cosmetic treatment. The mining sector of Israel extracts magnesium, bromides, phosphates, potassium, calcium and chlorides of sodium, all of which are important for the manufacture of fertilizers and explosives, link. Much of this is extracted from the Dead Sea and exported via Israel’s southern port of Eilat. These exports are significant worldwide. 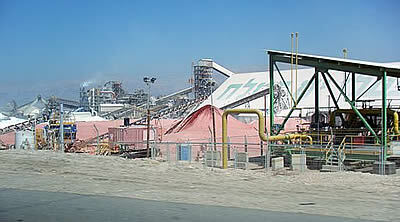 In 2010 Israel’s share of the world’s output of monopotassium phosphate was over 40%, link, and in 2013 her share of the world’s bromine production amounted to 32%, link. Israel’s mining and quarrying sector supplies about 50 million tons of raw material per year for building and road construction, link. The sector supplies sand, gravel, chalk, gypsum, limestone and stone for cladding and flooring. Road construction requires gravel as a sub-grade and filler material, as well as quarry sand and basalt gravel for asphalt mixtures. Some 7-8 million tons of aggregate come from Judea & Samaria. 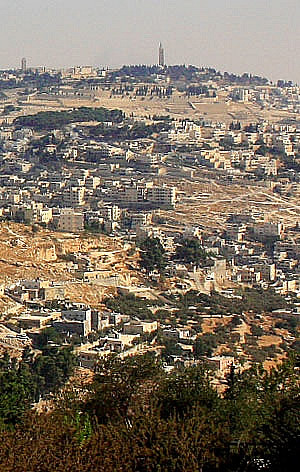 The highlands of Israel and the West Bank are primarily underlain by forms of limestone, and this is quarried for building purposes. 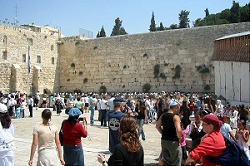 Many of the buildings in Jerusalem use forms of white, pink, yellow and tawny limestone (known collectively as Jerusalem stone). Gold and Diamonds: Gold has been found in Israel since biblical times, and a survey around 1950 claimed that King Solomon’s mines had been discovered in Southern Israel, link. Today, Israel’s resources of gold and silver are being estimated by the Dynasty Goldfield Project and the Jerusalem Gold Project, link. Although Israel does not produce rough diamonds, the country is one of the world’s leading diamond cutting, polishing and trading centers. Companies specialize in large, high-value gemstones, link. 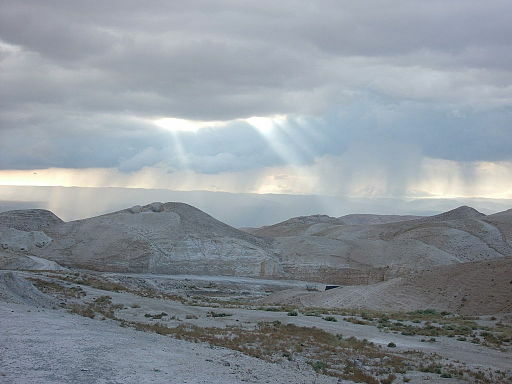 Rainfall Statistics: Israel is a dry land with no large replenishing rivers (like the Nile for Egypt). So, until recently, Israel has been totally dependent upon natural rainfall. 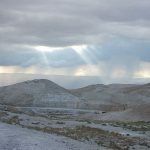 In the Golan Heights region (which supplies the Jordan and Lake Galilee) typical annual rainfall is 600-900 mm dropping to around 500 mm in Jerusalem and Tel Aviv. In the south it drops to only 200 mm at Beer Sheva and a mere 20 mm at Elat, link. In contrast, parts of western and northern England average 1000-1500 mm per year. So, overall, Israel’s total annual renewable natural sources of fresh water are well below the UN definition of water poverty (which is obviously population dependent). 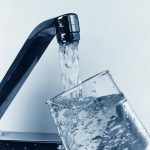 According to the UN, when annual water supplies drop below 1,000 cubic meters per person, the population faces water scarcity, and below 500 cubic meters “absolute scarcity”, link. In Israel the renewable fresh water/capita was 327 cubic meters in 1962, falling to just 91 in 2014, link. The corresponding figures for the UK are 2,700 and 2,200. Clearly, Israel’s renewable fresh water is at a premium and existing resources are well over used. 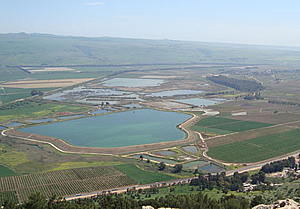 National Water Carrier: As the statistics show, Israel’s surface water is concentrated mainly in the north and east of the country – notably Lake Galilee – which is fed primarily from the Jordan River system. In fact, 80% of Israel’s natural water is in the north and so the National Water Carrier system conveys water from Lake Galilee southwards. The other two main sources of water are the Coastal Aquifer (the coastal plain of the Mediterranean Sea) and the Mountain Aquifer (under the central north-south Carmel mountain range), both of which are accessed by pumping. 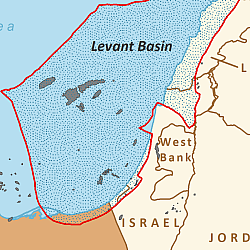 It is claimed that these aquifers lie under Palestinian territory (Gaza and the West Bank respectively), link, although this can be disputed on legal grounds. 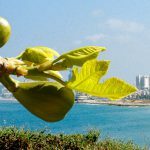 Desalination: Today, to boost natural rainfall, Israel makes extensive use of desalination plants, reuse of treated sewage for agriculture, computerized early-warning systems for leaks, and computerized drip irrigation and micro-sprinklers. As of 2016, Israel had five desalination plants, the largest (Sorek) producing over 600 million cubic meters of water/year, link. This plant alone provides enough drinking water to supply 1.5 million people! Air is a ‘natural resource’ and so it only needs clever technology to turn it into a water resource. Watergen, an Israel-based company uses humidity in the air to create clean and fresh drinking water. 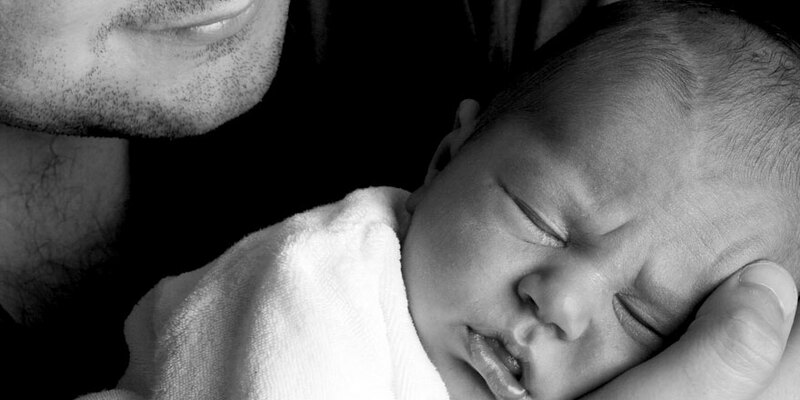 The heart of the Watergen product line is the revolutionary GENius™ heat-exchange technology. Air is drawn into the Atmospheric Water Generator (AWG), where it is thoroughly cleaned, removing any dust and dirt and leaving only pure air in the system. 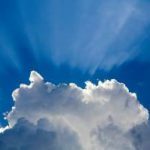 The clean air is then directed through the heat exchange and cooling process, bringing it to its dew-point – the temperature at which condensation occurs – to create water. Watergen’s Large Scale unit is an industrial scale AWG, designed for towns, villages, factories, off-grid settlements and communities. It can generate up to 5,000 liters of clean water each day. The first AWG system was installed in New Delhi, India in 2017. When Israel’s natural resources of gas and oil are developed, they will bring Israel to energy independence, and will even enable Israel to be a net energy exporter, link, link. Prime Minister Benjamin Netanyahu has called the gas “a gift from nature” that could earn Israel $60 billion in tax and royalties. The tribe of Zebulun would live at the seashore and go out in ships to engage in trade and make a profit. Today, this trade could be gas and shale oil.